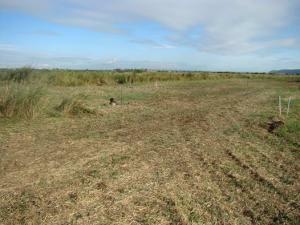 Check out Monty and Sedge nesting at WWT Slimbridge at this link! They've been going since the last days of April/first days of May - so due to hatch around the end of the month.... finger's crossed! Autumn mornings are just the best! Lovely set of photos here from local photographer and RSPB volunteer, John Crispin. Monty & Chris' good news! 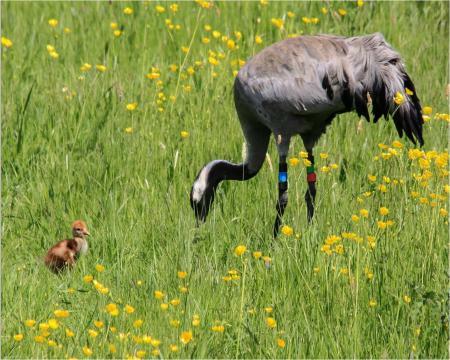 Over the weekend Monty & Chris, the pair of 2010 release year cranes that had been incubating on the WWT Slimbridge reserve not far from the Martin Smith Hide hatched a couple of chicks - and this is one of them - the first photographed wild crane chick in the West Country in over 400 years!